Preventive and Corrective Work Orders on the grid! The utility market is rapidly changing with examples as the introduction of smart meters, service offerings on boilers or leasing of solar panels. These changing business processes impact both customer care and the asset and service management divisions of the utility market. The health of your infrastructure has a considerable impact on the productivity and efficiency of your operations. Consequently, it also determines the profitability of your organization. Challenges faced by utility companies today include optimal productive conditions; meeting legal and vendor warranty requirements for operation; Limiting downtime and accessing grid information in places without PC access. Dynamics Utility Asset Management offers your organization an all-in-one solution that gives you real-time information across your business. Our solutions supports you by providing an overview of all work orders, both customer-facing and internal. At the same time, you have direct access to all your assets from both an operational and financial perspective. The asset management master file is a single source of information with regards to historical, operational and financial information. 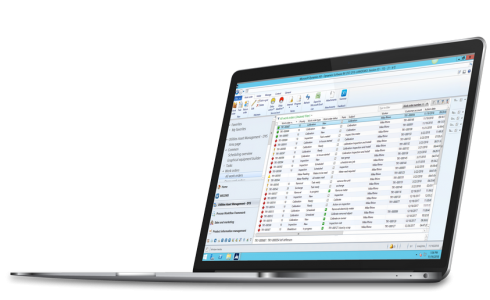 The asset management master file can be used for storing information such as asset type or warranty, cost center department or other financial dimensions to which maintenance expenses are to be posted, and much more. With work order management, Dynamics Utility Asset Management provides accurate information about future preventive maintenance as well as ad-hoc maintenance. Dynamics Utility Asset Management serves as a central point of information where your employees can keep relevant work order status updated. 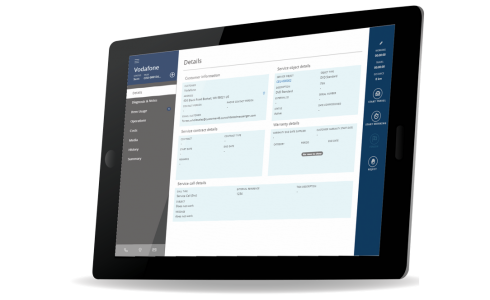 Having accurate information available lets you monitor and track the open work order effectively and efficiently. Planned and preventive maintenance work orders offer great flexibility in managing different types of maintenance activities. 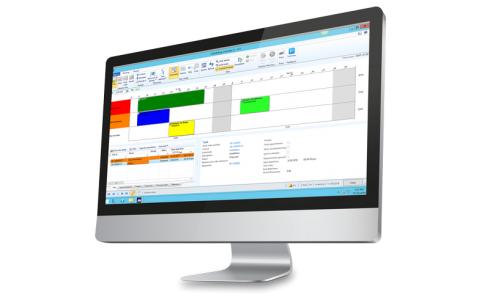 Dynamics Utility Asset Management offers full flexibility in defining maintenance schedules for preventive maintenance. Preventive work orders can be generated automatically. Just like ad-hoc work orders, the preventive work orders will appear in the to-do list of the maintenance planner to be assigned to the technicians or engineers. The day-to-day service process is all about maintaining the infrastructure in a cost-efficient way while being able to act upon incoming requests Utility Asset Management supports the field service processes as well as the processes required for the workshop repair process. The Work Order is the first step in the day-to-day process. Once the Work Order is created the next step in the process starts with the creation of a task. Dynamics Mobile Field Service successfully closes the loop between field workers, Dynamics Utility Asset Management and your customers. We mobilize your core business processes to give field personnel and office-based workers real-time access to enterprise systems whether they work on a laptop or a mobile device. 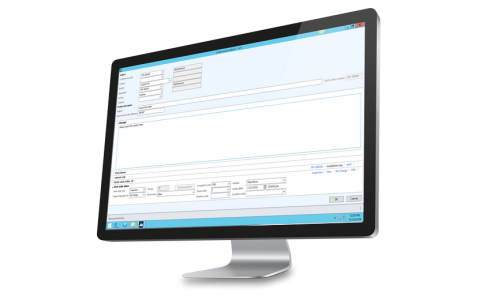 Dynamics Mobile Field Service includes: viewing work orders, start and stop tasks, navigate to the customer location, adding materials and return hours. 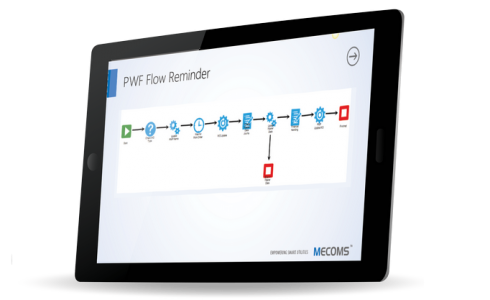 The illustration you see on the screen is of a process flow between Ferranti MECOMS™ and Dynamics Utility Asset Management. As you see a connection and device are set up in MECOMS. On the connection, the required master data is stored such as meter reading frequency and area. 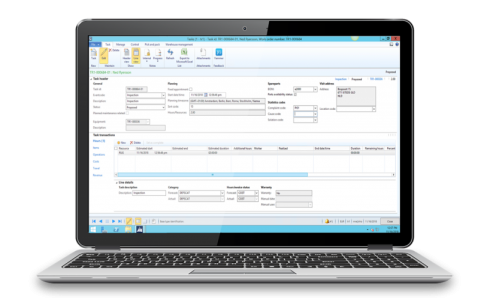 When a connection and device are created in MECOMS, a service object, including the applicable data, will be replicated in Dynamics Utility Asset Management automatically.